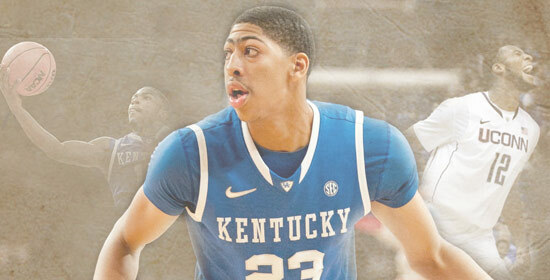 Should the Bobcats trade the #2 pick? As we debate (agonize over?) 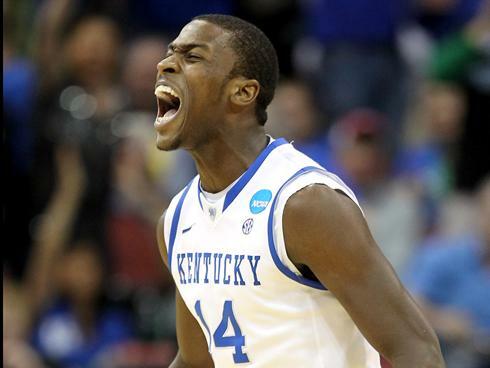 the relative merits of Micheal Kidd-Gilchrist, Bradley Beal, Thomas Robinson, and Andre Drummond as potential selections for the Bobcats with the #2 pick, a tantalizing alternative has been presented. Matt Moore of ProBasketballTalk makes a strong argument for trading the pick. The argument boils down to this: the Bobcats desperately need both a franchise player and a more general infusion of talent; there is not a franchise player in this draft other than Anthony Davis; thus, the Bobcats should trade down in an attempt to add a couple of talented players — pieces, or assets if you will. 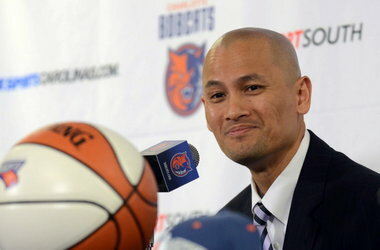 Moore also identifies some weaknesses in this strategy: one, while it seems unlikely at this time, it is possible that one of the above-mentioned candidates for the second pick could develop into a franchise player, which would make the Bobcats look even worse than they already do (if that’s possible); and two, that the Bobcats would be unlikely to receive full objective value back when trading away the pick. For what it’s worth, I think the former weakness is the more important one. Part of me thinks that the Bobcats should just decide which guy is going to be the best player, pick him at #2 and move forward. Don’t over-complicate things. But building an NBA team is complicated. And the argument for trading the pick is admittedly compelling. The next question is: What could the Bobcats realistically get back for the second pick? Speculation has mostly centered around the two teams with two first round picks: the Cavaliers (picks #4 and #24) and Trailblazers (picks #6 and #11). Obviously, the first step is that one of these teams must fall in love with a player. The Cavaliers are building around the core of Kyrie Irving, Tristan Thompson and Anderson Varejao. Most observers are putting the Cavaliers onto the prominent wing prospects in this draft: Bradley Beal, Michael Kidd-Gilchrist and Harrison Barnes. The Cavaliers supposedly liked Harrison Barnes in last year’s draft, so if Barnes’ underwhelming 2011-12 season didn’t scare them off, they would certainly be able to sit back and get him at #4. But if they fall for Kidd-Gilchrist or Beal, they could package #4 and #24 to move up to #2 to ensure that they get their man. Getting #4 and #24 would be attractive for the Bobcats in that they could very likely still get Thomas Robinson at #4 (who may be the best fit anyways) and pick up an extra player/asset at #24. The negative part of this is that the Bobcats already have pick #31, the first pick of the second round. #24 and #31 aren’t that much different — are the Bobcats really going to give significant playing/development time next year to the #24 and #31 picks? What you’d be hoping for is that someone who’s projected in the teens slips down to #24 so you get some real value there — Quincy Miller, for example? Or maybe you use one of those picks on a project (Fab Melo, Marquis Teague, Evan Fournier?) and stash him in the D-League/Europe while using the other pick on a more polished player who could contribute from Day 1 (Jeff Taylor, Draymond Greene, Andrew Nicholson?). Moving on to Portland (picks #6 and #11), the Trailblazers are building around LaMarcus Aldridge and Nicolas Batum. Their biggest needs are a starting point guard and a big to pair with Aldridge. They could try to fill those needs with #6 and #11 (Chad Ford’s Mock 6.0 has them taking Andre Drummond and Damian Lillard, respectively, while Jonathan Givony/DraftExpress.com has them on Jared Sullinger and Kendall Marshall). Or they could package the picks to move up to #2 to pick Thomas Robinson or Bradley Beal. While Robinson is possibly too similar to Aldridge and thus not the greatest fit, he’s plug-and-play NBA ready. Beal at 2-guard isn’t a primary need for the Blazers (they have Wesley Matthews there currently), but nonetheless keeps getting mentioned as as the guy that teams could really fall in love with. Getting the sixth and eleventh picks would be supremely fun and terribly frightening for the Bobcats. They might end up having to work out 50+ players when you add in the prospects for the #31 pick. They could do the most Bobcatsian thing ever and pick Harrison Barnes at #6 and Tyler Zeller at #11 (harkening back to the all-Tarheels 2005 draft of Raymond Felton and Sean May). People might riot, but those guys do fill needs — a wing and a big who meshes with Biyombo. Or they could go with the two highest risk/reward prospects in the lottery: Andre Drummond at #6 and Perry Jones at #11 (again a big and a wing). That would be fascinating. 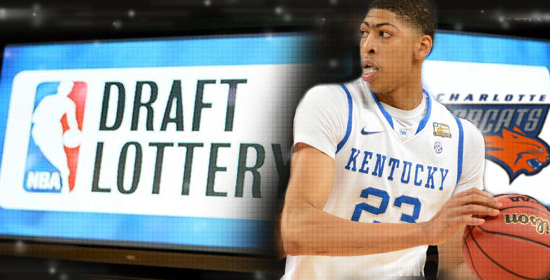 Really, the possibilities are endless — the upshot is that you’re getting two lottery picks in a pretty deep draft. And when you have as many holes as the Bobcats do, that’s probably the best move. Great! But why stop with MKG? Maybe the Bobcats should draft Michael Phelps or Tom Brady. What’s Ivan Lendl up to these days? Meryl Streep? She’s as decorated as they come. If I’ve learned one thing in my twenty-plus years of ring-less fandom, it is that THERE IS NO CORRELATION BETWEEN preprofessional and post-professional success. Period. Emeka Okafor was a WINNER. Raymond Felton and Sean “Crab Bread” May were WINNERS. Kemba Walker was a WINNER. Strange that the Bobcats have had all of these winners in their brief existence yet have lost so many games. Quick look at the stars currently playing for a title: Lebron, DWade, Pierce, Garnett, Rondo, Harden, Durant, Westbrook, Duncan, Ginobli, Parker. ZERO NCAA Championships total. Conclusion: IT DOESN’T EFFING MATTER. So does a Honda Civic but you won’t see it on the track at Le Mans. Reggie Evans, Kenneth Faried, Cory Brewer, Matt Barnes and Tony Allen all give 110% every minute but if I was coming off the worst season in NBA history, I’m not sure I’d spend the Number Two Overall Pick on a non-game changing Energy Guy. Oh yeah, and then there’s that thing about how Kidd-Gilchrist CAN’T SHOOT. Or create offense for himself. That’s gonna go over real well on a team already LOADED with offensive threats, right? PROS: The Safe Pick. He’ll probably never beat Chris Bosh or Al Horford out of a starting All-Star gig but he’ll slide in nicely next to Biyombo to eventually form one of the East’s better, if undersized, frontcourts. His rebounding will be an instant godsend as will his ability to successfully execute any sort of offense within four feet of the basket. CONS: Power Forward is hands down the easiest position in the NBA to fill right now. Aside from the top 5-6 guys, there’s not much separating the Carlos Boozers from the Drew Goodens. Not to mention the fact that Tyrus Thomas’s off year on the runway model diet may prove to be a fluke. Add to that the availability either via Free Agency or Trade of some solid starters (Paul Milsap, Ersan Illyasova, Brandon Wright, Josh Smith, Carl Landry) and it might not make sense to spend Number Two on a Glorified Replacement Player. POTENTIAL TOP FIVE AT POSITION? No. PROS: The Vegas Pick. 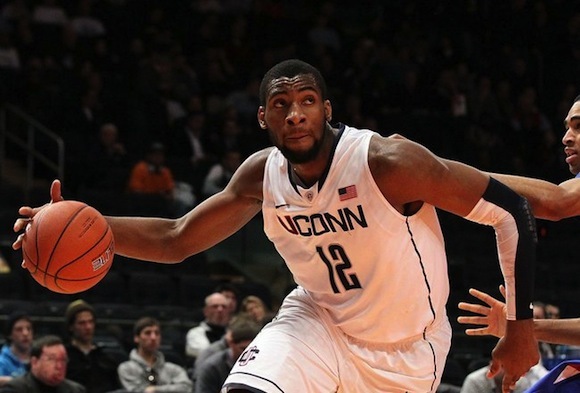 There just aren’t many dudes with Drummond’s combination of size and athleticism. He’s almost as HUGE as Bynum and Howard today at nineteen. His offense needs work and he’ll surely be a foul magnet and therefore a non-factor early in his career but if both parties invest heavily in his development, he may one day challenge Anthony Davis as the best big man in the 2012 Draft class. Pair him with Biyombo and they could form the most fearsome defensive frontcourt in the league for a decade. CONS: Kwame 2, Electric Boogaloo. If he’s not serious about the game or his career he could single-handily set the franchise back at least another year. But for a team already playing from so far behind, that might not matter. POTENTIAL TOP FIVE AT POSITION? Yes. PROS: The Cam Newton Pick. Lost in the now universal worship of Cam is the fact that most draft analysts initially had him pegged somewhere between a mid-first rounder to an early second round pick. Panthers GM Marty Hurney rightfully shut out the experts and picked the guy who was right for the team and situation, regardless of draft position. It paid off big. Beal is this draft’s Newton. He does precisely the things the Bobcats desperately need: SHOOTING + DYNAMIC SCORING. Put him in a three guard rotation with Gerald Henderson and Kemba Walker and the Bobcats backcourt is a big point guard away from being good for a long while. CONS: “But Gerald Henderson is our best player!! !” -People on the Internet – Do I even have to acknowledge this? I like Henderson. He’s fine but he’s probably the 19th best shooting guard in the league. Plus Beal can play some point. Like a rich man’s Sefolosha in OKC, there will be plenty of minutes available for Gerald, Jr.
“You can’t draft an undersized SG at number two!” – Traditional Draft Experts – It’s a small-ball league now and has been for some time. Beal’s shooting and ability to get to the line will help the team in their dire most area of need. Instantly. If Rich Cho is 4% as smart as I think he is, look for Beal to be swishing threes next season in orange and blue.